It should have been a day celebrated with hearts and boxes of chocolates. Instead the nation will remember Valentine’s Day 2018 as a day when 17 adults and students lost their lives to another school shooter. Flags throughout Plumas County are at half-staff in remembrance of those who died. Seventeen died and others were injured when a shooter opened fire at Marjory Stoneman Douglas High School in Parkland, Florida. Reports claim that it took only 10 minutes for 19-year-old former student Nikolaus Crews to fire an AR-15 at anyone in his sight. Emergency crews, parents and relatives flocked to the scene in an effort to assist those involved. But that couldn’t happen here? Or could it? Following are just a few recent local incidents alerting students, parents, teachers, school officials and law enforcement that any threat could be real. One Plumas County public school student threatened to shoot students and teachers Feb. 9. The difference between here and the other 300 school shootings that have occurred since 2013 — it didn’t happen. On several occasions throughout the 2017-18 school year, one Plumas Unified School District student threatened to shoot others, according to official crime reports from the Plumas County Sheriff’s Office. Because the student is a juvenile, the student’s name and details of the incidents are being withheld, but there’s still a lot to talk about. 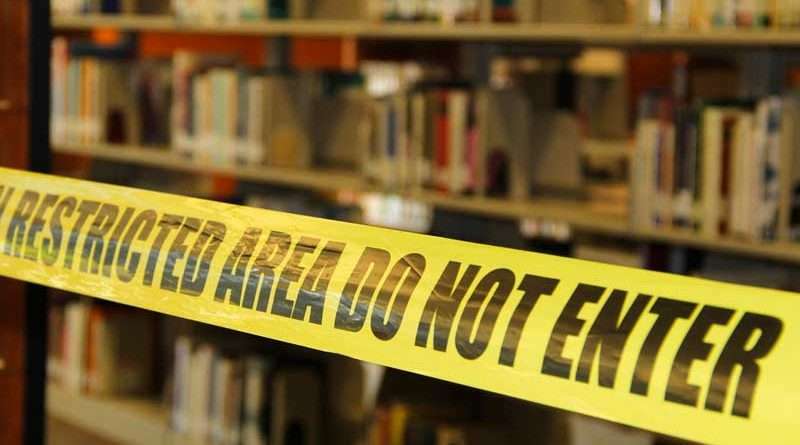 Plumas County public school educators and members of the Plumas County Sheriff’s Office are taking threats made by local school-aged children seriously. Of the report that was phoned into the sheriff’s office dispatch Feb. 9, the student was “just talking, and looking for attention,” said Sgt. Ian James who had knowledge of the situation. The student didn’t have the means to carry through with the threat, he said. On Thursday, Feb. 15, a fire alarm was pulled at Greenville High School, said Superintendent Terry Oestreich. Some teachers went into immediate lockdown reacting to new active shooter training throughout the district, Oestreich said. As of Friday, Feb. 16, the incident was under investigation. This wasn’t a practice drill. It could have been a prank, but it’s also an emergency alarm that teachers, school offices and law enforcement are geared to react to. Oestreich said law enforcement and the fire department were on scene within minutes. That evening and the following day, despite it being a school holiday, GHS Principal Traci Cockerill was sending out statements to parents and guardians explaining what they knew about the incident, according to Oestreich. “We don’t know when, we don’t know where, we only know the whys afterward,” James explained from a law enforcement perspective. Unfortunately, when the whys are determined it’s too late to take preventive measures except in preparing for the next threat or incident, James added. These aren’t isolated instances. Through the school year, school personnel have reported to the sheriff’s office incidents where knives have been found in the possession of some students. School officials and staff seem to be more willing to report incidents, said Plumas County Sheriff Greg Hagwood responding to a question about recent threats. Reports of students carrying knives to school, social media bullying, harassment and threats are now more likely to be reported, he said. Following a report to the sheriff’s office, law enforcement is dispatched to the scene. Students are interviewed, and parents are notified. Frequently, it’s up to the site administration to discipline the student if that’s required. All but one school within the PUSD system has had an active shooter drill, Oestreich said Feb. 16. That drill is scheduled. In a major effort to protect those on PUSD campuses, the ALICE —Alert, Lockdown, Inform, Counter, Evacuate — has become a working part of schools. ALICE training and drills are headed by custodian Dave Martha, California Highway Patrol Seth Preston, Principal Sara Sheridan and ALICE instructor Frank Carey. In carrying out ALICE practices, Carey attended a national conference in Nashville held by the nationally acclaimed program. Drills are set up in advance with the site principal, Oestreich explained. There are various scenarios that can be enacted and it’s up to the principal and Carey to determine which drill they will practice. Parents and emergency personnel are notified in advance to avoid confusion. The trainings are based on past active shooter incidents and case studies taken from what is a growing number of incidents across the nation. Twice each year teachers and staff at each school must attend ALICE trainings. While trainings focus on just what staff must do during a situation, the training also focuses on warning signs and behaviors to watch for from students and others they encounter in the school. While GHS participated in an unplanned incident, students, teachers and staff participated in a prearranged drill at Quincy High School last week. “I don’t think it’s anything specific,” James said about why school campuses are being targeted. Some intruders show signs of being harassed. Others have it out for a group of students or the school in general. A few show signs of wanting to show they’re bad guys. By Friday, Feb. 16, reports indicated that Cruz, adopted as an infant, was having mental health issues. According to one report, law enforcement was called to the home of his mother 39 times in 2010 — Cruz would have been about 9-years-old. His mother died last fall. His father died a number of years earlier, according to reports. Neighbors and teens who knew Cruz seemed to understand the warning signs, and he had received mental health counseling, but that didn’t stop the Valentine’s Day carnage. Why not release the name of school these incidents happened?? Parents have the right to know when these threats are being made at their children’s school. It’s a shame you can’t send your kids to school knowing they are safe…..
Too many punk kids and NO parenting for them. I’m happy about training, I know it’s a learning curve. But, after having practice drills at GHS & IVE recently, I feel a bit upset as a parent when my kids came home and told me how the fire alarm just after the FL school shooting, was handeled. One of my kids was in a class being taught by an administrator. After alarm, He opened the door so her class could go out onto the football field, like a fire drill. The class went out ALONE WITHOUT HIM, he is an administrator & needed to asses situation elsewhere. They were alone. Panicked wondering what was happening. Hearing sirens coming. My other child was in a classroom where all kids began barricading the door like they were taught. Consistency is needed! Kids on field were sitting ducks!